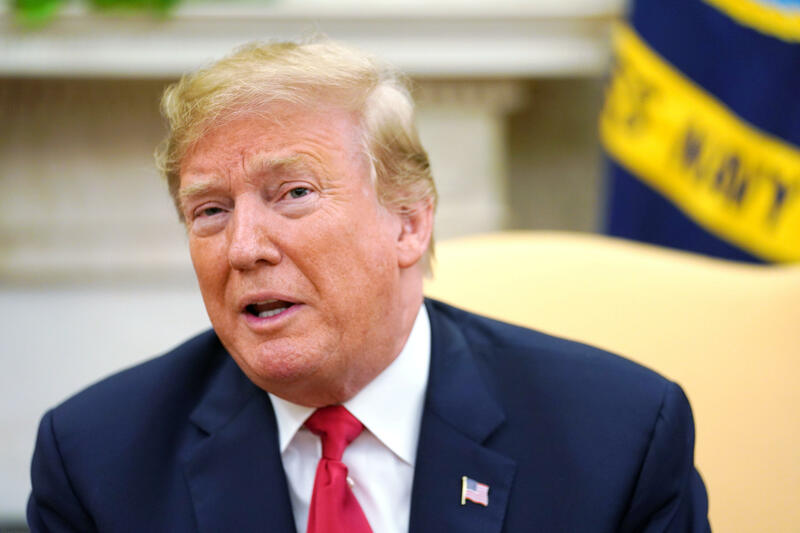 President Trump said he's not likely to ask his next Supreme Court nominee how he or she would vote on the landmark case Roe v. Wade, which legalized abortion in the U.S. in 1973. In an interview that will air on Sunday, Fox Business Network's Maria Bartiromo asked Mr. Trump, "Are you going to ask your nominee beforehand how they might vote on Roe v. Wade?" What does Anthony Kennedy's retirement mean for Roe v. Wade? "That's a big one," the president responded. "And probably not. They're all saying, 'Don't do that -- you shouldn't do that,' but I'm putting conservative people on (the court) and I'm very proud of Neil Gorsuch, who has been outstanding. His opinions are so well-written and so brilliant," the president said. "I'm going to try and do something, but I don't think I'll be so specific." Liberals fear that the next justice, who would replace retiring Justice Anthony Kennedy, will help overturn Roe v. Wade. Kennedy was the key vote in Planned Parenthood v. Casey, the 1992 case that would effectively enabled states to ban most abortions. During the 2016 presidential campaign, Mr. Trump was asked during a debate whether he wanted the Supreme Court, including justices he would name to overturn Roe v. Wade. "If we put another two or perhaps three justices on, that is really what will happen," Mr. Trump predicted. "That will happen automatically in my opinion. Because I am putting pro-life justices on the court. I will say this. It will go back to the states and the states will then make a determination." But whatever Mr. Trump said during his campaign, Leonard Leo, who advises the president on judicial nominations, said abortion did not come up in Mr. Trump's interviews with prospective nominees when he chose Justice Neil Gorsuch last year. "The president has never asked a prospective nominee about Roe v. Wade or abortion in any way shape or form. He's never discussed the issue with me. Period," Leo said, according to the Associated Press.